Guangzhou Senfeng Advertising Limited. specializes in design, R&D, production, marketing, maintenance for advertising logos and advertising light boxes etc. We provide all kinds of ultra-thin light boxes, plastic light boxes, Crystal light box, luminous characters, the front door brand, the parking sign, floor tablet, various of hardware display rack, acrylic material box, crystal words, and all kinds of public identification, environmental label, super chain stores identifies and other supporting advertising products. Senfeng is a loyal VI show performer. We have large laser engraving machines, cutting machines, screen printing bed rooms and professional paint technology and other advanced equipments, providing customers with the most perfect craftsmanship, exquisite production techniques; Adhering to the business philosophy of "Creating Value for Customers", with years of industry experience, lasting innovation, deepening the level of customer service and operations management, which can serve our customers better. Senfeng is our clients’ best trusted partner which had served for the Industrial and Commercial Bank of China, the Agricultural Bank of China, the Construction Bank of C hina, China Postal Savings Bank, China Mobile, China Petroleum, Hisense, Midea, China Southern Power Grid, Coca-Cola, Hospital of Guangdong Province, Guangzhou Children's Hospital, Henan Province Chinese Medicine , Guangzhou Metro, etc. We offer our customers with the first-class services and the perfect carrier solutions, the whole process is followed by our professionals: From the overall process control, time planning to small design and configuration of each screw. We concern in every small detail to let you win more peacefully. 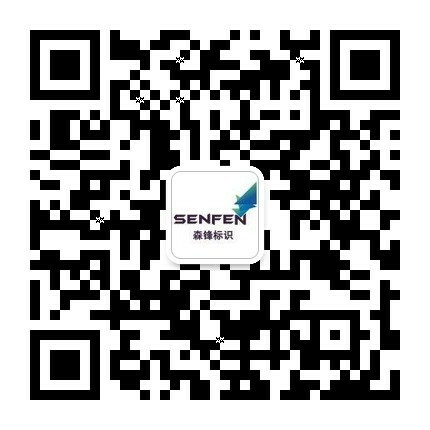 Senfeng - aspiring to become a professional manufacturers and service providers of the identification system in China.